In the world of electronic documents and paperless offices, the PDF (Portable Document Format) has become an essential document format. A PDF file is readable on multiple operating systems, in a wide variety of programs and is able to retain document formatting regardless of the device, operating system or program it is viewed on. Users can also easily organise PDFs 3 PDF Document Management Tools for Organizing Your Research 3 PDF Document Management Tools for Organizing Your Research The web has seen its fair share of research-friendly tools grow over the past years. Let's discuss some tools that help you keep your PDF article library neat and catalogued for use when you have... Read More , bookmark pages for reading later How to Bookmark a Page in a PDF Document in Adobe Reader How to Bookmark a Page in a PDF Document in Adobe Reader Adobe Reader won't let you add a bookmark to a PDF. What to do? We'll show you several easy workarounds that let you bookmark a page in a PDF document. Read More or even convert PDF to eBook format. But it’s not just these great features which make it such a popular format of the business world: There’s also the topic of PDF security. When you create PDFs for business purposes there are a number of security concerns you may have, ranging from who can view it to how the content can be re-used. It’s therefore vital to understand your PDF security settings well and to know what protection features are generally available. Here are some of the top PDF security tips. All PDF security relies on encryption, but the method for obtaining access to the file can vary according to your security needs. Many business documents use a password to unlock the file as it is a simple way to give access. 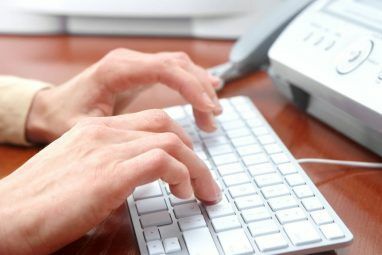 Clients can be told passwords via the phone for access to the files you have sent electronically, thus stopping an intercepter from gaining access. However, it is also possible to pre-define who has access to the file according to public keys, making it impossible to gain access to the document unless you are the intended recipient of the file. 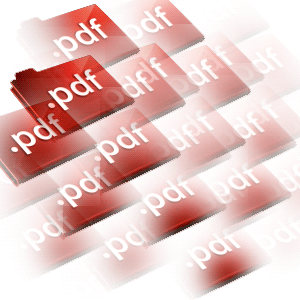 Note that encrypted protection of PDF files will not stop someone from deleting the file. You’ll need to ensure the file access rights on your computer are sufficient to ensure the document is safe. If you have decided to password-protect your PDF documents, you may be surprised or relieved to know that it is possible to allow print-only access to a file even without the password. This is both something to note when ensuring your documents are fully secured and something to try if you’ve locked yourself out of an important document. This could be very important to remember in the future! You may have PDF documents which you’d like to make generally available, but which you’d prefer weren’t easy to copy (for whatever reason). For instance, PDF security can be used to ensure people can’t copy and paste your text, can’t print the file in high quality or save as another sort of document. This DRM (Digital Rights Management) can be really useful when sending files to clients for a preview before they’ve paid for the work. 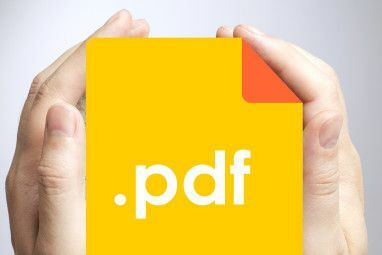 Unencrypted PDF files can allow users to cut-and paste text as well as extracting images from the PDF document How to Extract Images From a PDF and Use Them Anywhere How to Extract Images From a PDF and Use Them Anywhere PDF files can be containers for embedded images. We show you how to extract images from a PDF file and save them to your desktop. Read More . It’s even really easy to convert PDFs to Word documents Three Free Tools That Convert PDF Files To Word Documents Three Free Tools That Convert PDF Files To Word Documents The PDF and DOC file formats are the bread-and-butter of modern documents. Chances are good that any specific document, be it an eBook, a study guide or a user manual, will be available in one... Read More . Despite all this encryption, a determined PDF copier would re-type the text or take a screenshot of your document. There are also many services available online to remove PDF encryption. With different levels of encryption available and many high-powered computers around to break that encryption you’re never completely safe, but it will deter most people. Note that there are a number of different ways to encrypt your PDF files as numerous programs can create and access PDF files 4 Methods to Create & Edit PDF Files for Free 4 Methods to Create & Edit PDF Files for Free Out of all the common file types found in our computing world, PDF is probably one of the most restrictive ones, while at the same time being available for everyone to use (primarily to read).... Read More . Generally, look under “permissions”, “protection”, “security” and “encryption” to access the security controls for your PDF. What are your best tips about securing PDFs? Let us know in the comments! What is the best software to secure pdf files...??? There's a lot of really good software that can add security to a PDF. It's more about choosing adequate security levels and encryption than about which program you use. There are many, but all of them can be deactivated easily !!! Even Adobe itself can be by passed very easily.